Iguazu Falls is in the north of Argentina with Brazil is on the other side of the river and Paraguay also nearby. It was about 30 degrees Celcius and very high humidity while we were there but fortunately it did not rain. At just below the tropic of Capricorn, it was quite a change from Antarctica. 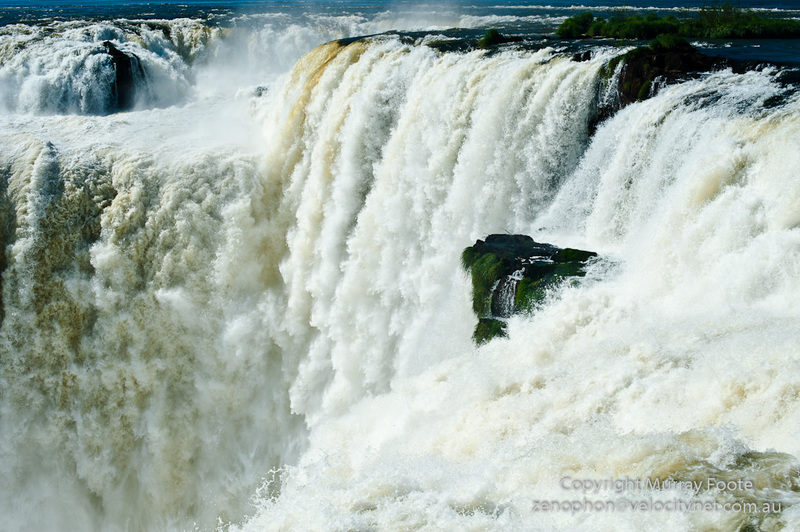 Iguazu Falls is very wide, as you can see from the image below. Actually, this is not all of it; what looks like a cloud in the distance is spray from another section around the corner. The amount of water going over is very impressive. … and it can also be quite beautiful in its luxuriant tropical environment. 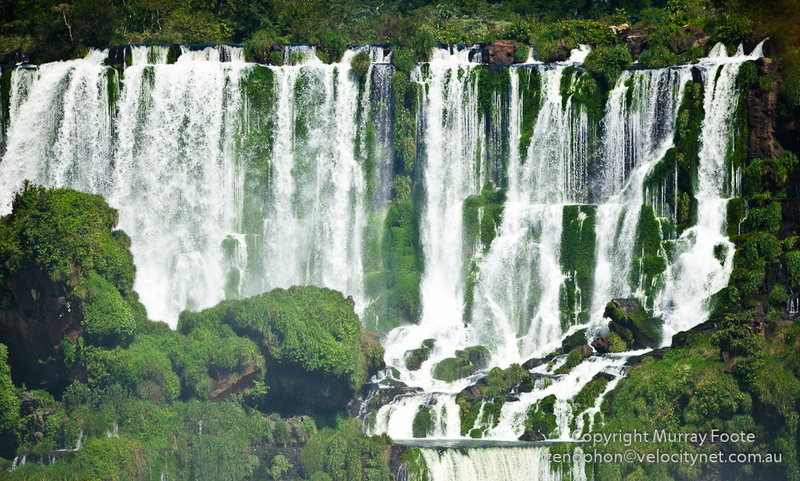 This entry was posted in Iguazu Falls and tagged Argentina, Iguazu Falls, Photography, Travel, Waterfall.